This photo, published in 2011, shows a section of the border barrier built under the Secure Fence Act of 2006. 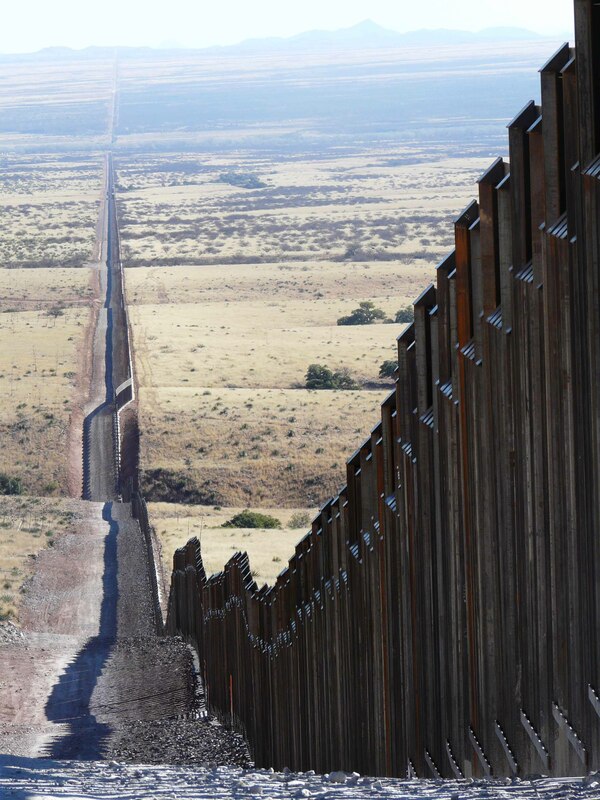 In the debate over a southern border wall, we might remember that 650 miles of “fence” already has been built along the border with Mexico, and many top Democrats voted to authorize it. The barrier was built under the Secure Fencing Act of 2006, which was proposed by President George W. Bush and supported by a majority of Democrats, including Senators Barack Obama, Hillary Clinton, Chuck Schumer, Joe Biden and Dianne Feinstein, and also by then-Rep. Sherrod Brown. Admittedly there’s a difference between a wall and a fence—although what President Trump means by a wall isn’t completely clear. And, to be sure, some Democrats opposed the 2006 law, including Rps. Bernie Sanders and Nancy Pelosi and Senators Ted Kennedy, Harry Reid and John Kerry. Even so, with this history, it’s hard for me to see why the Democratic leadership chose this particular issue to go to the wall over (so to speak). The bill was part of a package that included a path to citizenship for unauthorized immigrants already in the United States and stricter controls on new unauthorized immigration, including the border fence. In 2011, President Obama declared the fence had been completed, but his opponents claimed the result wasn’t what Congress intended. The original bill called for a double row of fencing, but it also gave the Secretary of Homeland Security authority to choose alternatives if deemed more suitable for the location. Only 36 miles were built as double fencing. Federal officials said the fence includes 299 miles of vehicle barriers and 350 miles of pedestrian fence. The U.S.-Mexican border in its entirety is about 1,950 miles long. If you’re a long-time reader of this blog, you know that I’m of two minds about immigration policy. I think the people trying to enter the USA are human beings with the same human rights as I have, and I can’t criticize desperate people looking for a chance to make a better life for themselves by working hard. At the same time, I think there is a limit on the number of newcomers any nation, or any group of people, can admit and still hold together. The U.S. birth rate is below the replacement rate, and growth in economic productivity is slowing down. If we are to maintain a desirable worker-to-retiree ration, we need some immigration. Southern border security is not at present an urgent issue. But when global climate change really takes hold, the refugees fleeing drought, floods, storms and tidal waves are going to create mass migration on a scale not seen since the fall of the Roman Empire. I don’t know whether physical barriers are the best way to secure the southern border. Surveillance devices and rapid response teams might be better. Under international law and U.S. law, people with a well-founded fear of being killed because of their race, religion or politics have a right to request political asylum in a new country. The U.S. should increase the number of immigration judges so that requests for asylum can be heard promptly and there is no need to jail asylum seekers. I don’t know how to judge whether the current level of legal immigration is too high. We might consider weighing immigration. The United States should adopt a system, similar to Canada, Australia and other countries, of admitting immigrants based on what they can potentially contribute to their new country. Immigration based on family unification should be limited. Immigration for purposes of family unification should be limited to parents and minor children of current residents. Adult siblings should not be considered. A Bipartisan Wall by Chris Deaton for The Weekly Standard. In 2006, Democrats supported legislation to build border fence by Annie Linskey for the Boston Globe. Obama says the border fence is ‘now basically complete‘ by Robert Farley for PolitiFact (2011). From concrete walls to steel fences: Trump’s evolving concept of a barrier by William Cummings for USA Today. All eight border wall prototypes fail basic penetrability test by Jonathan Hilburg for Architects Newspaper. This entry was posted on January 14, 2019 at 8:40 am and is filed under Immigration, Politics. You can follow any responses to this entry through the RSS 2.0 feed. You can leave a response, or trackback from your own site. Phil, I think that the Demos are passing up an opportunity here. They can always tear down the wall and can have Bernie S. stand on it and say âMr. Trump tear down this wall!â It seemed to work well for one of our previous presidents. R.H.